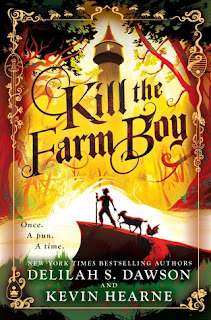 Kill the Farm Boy is book 1 in The Tales of Pell series. I had to grab this one because I've enjoyed both author's books in the past and couldn't wait to see how they wrote together. This isn't your typical fantasy novel, it's more like one that pokes fun at the common themes we see in the genre and has a ton of humor mixed in. We start off with a pixie named Staph appearing and using magic to make a boy named Worstly, the Chosen One. His goat, Gustave, also winds up being able to talk after Staph takes off. Worstly decides to leave to fulfill the destiny of the Chosen One, I mean what could go wrong with that plan? We wind up making a ragtag group that follows the chosen one with plenty of trials and deaths along the way. The humor was a bit heavy handed for my taste, at times I was laughing out loud but sometimes it felt like it was trying too hard. I didn't expect several things to happen that did and it wasn't hard to finish the book but it just felt off to me. I'd probably give the next book a chance since I was entertained and I do like both authors' prior books. 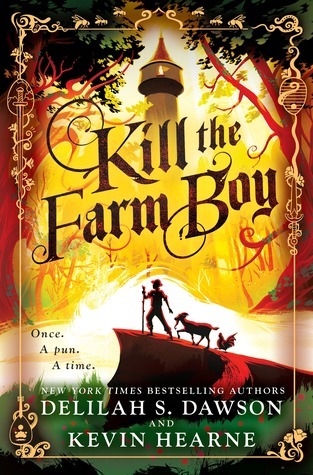 If you're a fan of nonstop humor mixed in with fantasy you might enjoy this novel.